Can the Edmonton Oilers return to the Stanley Cup Playoffs in 2019? An overview of what the team looks like heading into next season. Many had high hopes for the Edmonton Oilers heading into 2017/18 season, some even picked them to win the Stanley Cup. But it was a disappointing season for the Oilers, to say the least. The team got out off to a slow start and never really found a way to get back into the playoff race. There were a few bright spots on their roster; Connor McDavid led the NHL in scoring once again, meanwhile, Leon Draisaitl had himself another 70-point season. Aside from that, there was little secondary offense provided from the rest of the forward group last year. Coming into this new season we should see a much more motivated team in the Alberta capital. Expectations are high and missing the playoffs might mean the end of Peter Chiarelli and Todd McLellan’s time in Edmonton. The team made minor changes (signing Tobias Rieder, Kyle Brodziak, Kevin Gravel, and Mikko Koskinen) to their roster this summer and got a really good prospect in Evan Bouchard at the draft. It remains to be seen if these changes are enough to help the Oilers back into the playoffs in 2019. - Connor McDavid leads in the NHL in scoring again meanwhile, Leon Draisaitl has another 70-point season. - Tobias Rieder adds speed, versatility and secondary offense to their top-nine. - Milan Lucic and Ryan Strome put up better offensive numbers than they did last season. - Jesse Puljujarvi and Kailer Yamamoto are able to take a huge step forward and contribute 15-20 goals offensively. - Oscar Klefbom and Andrej Sekera have a bounce back year on the blueline meanwhile Darnell Nurse and Matt Benning continue to improve their game. - Cam Talbot has a great year and Mikko Koskinen is able to give the Oilers a solid 15-to-20 games as a backup. - Evan Bouchard makes the team out of training camp and is able to make an impact on the Oilers’ blue line next year. - Connor McDavid has an off-year and scores less than 75 points. - New signings Tobias Rider, Kyle Brodziak and Mikko Koskinen doesn't work out. - Darnell Nurse, Matt Benning, Jesse Puljujarvi and Kailer Yamamoto does not improve. - Milan Lucic and Ryan Strome can’t find their game offensively. - Mikko Koskinen is not reliable as a backup and the Oilers rely on Cam Talbot too much making him fatigued by the end of the year. The Oilers have one of the best players in the game in Connor McDavid and making the playoffs should be a bare minimum for this team next season. Overall, the Oilers have the ability to compete against the best teams in Western Conference. Assuming that the Vegas Golden Knights comes back down to earth and teams like the Anaheim Ducks and Los Angeles Kings continue to falter. A top-three spot in the Pacific Division is a reasonable goal for the Oilers. There is no reason to believe that Connor McDavid can’t lead the NHL in scoring again. If Jesse Puljujarvi, Kailer Yamamoto, and Evan Bouchard are all able to make an impact next year, one must like the Oilers' chances of returning to the postseason. Sidney Crosby won a Stanley Cup in his fourth season in the NHL, so there is little reason to doubt that Connor McDavid can’t do the same next year. 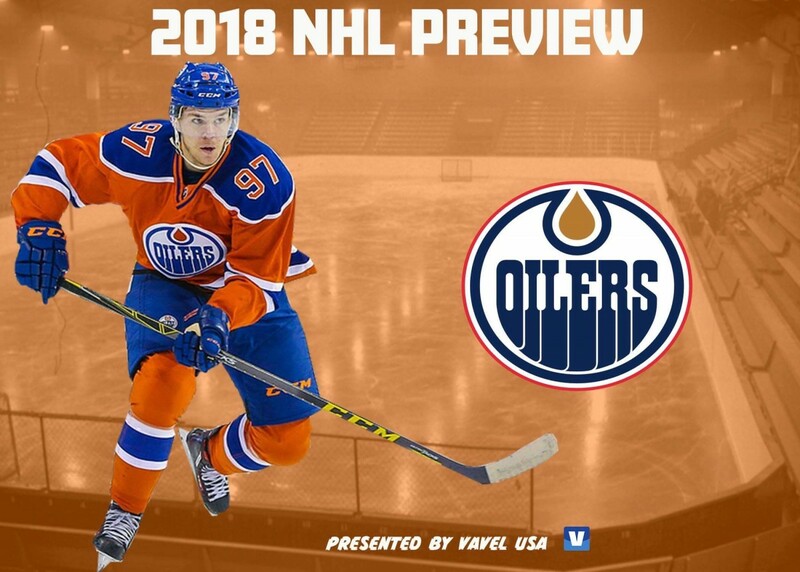 What are your thoughts on the Oilers this coming season? Are they are a playoff team? Let us know in the comment section below.